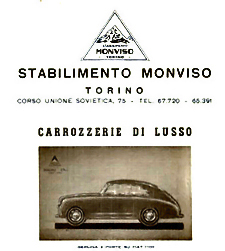 Monviso was established in Turin, founded in 1944, during a period in which starting such a comapny particular for body redesigns, was really an act of great courage and confidence in the future. Against all odds, Monviso managed to survive and even thrive, producing several productions on existing chassis, particularly Fiat and Lancia. 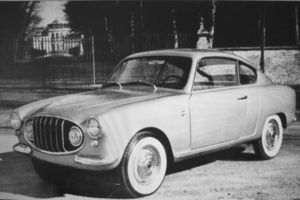 A very original line was the 1949 Lancia Aprilia coupe, a two door with wraparound rear window that included the rear side windows. 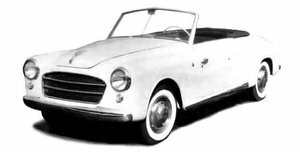 In the early fifties the company specialized in the construction of two spider models named Stella Alpina and Swallow, which archived a good run of success with public sales. 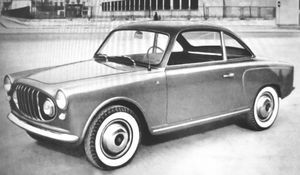 The first was built on a Fiat 1100b and 1100E chassis, the second on the Fiat 1400. The Stella Alpina model had its steering wheel change that included the shifter. One of the latest creations by Monviso, was the Stella Filante model, a spider built on a Fiat 1100TV frame with removable plexiglass. 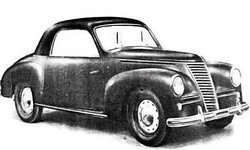 In 1955, Monviso was absorbed by the Ghia comapny.